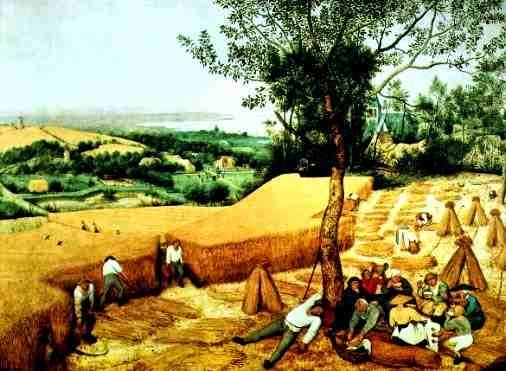 The Agrarian of Agricultural Revolution too played an important role for preparing the ground of the Industrial Revolution. It was commercial agriculture, the legacy of the Agricultural Revolution, that helped the accumulation of capital. The vast amount of capital gained through the sale of agricultural products were, to a noticeable extent, invested in industry. Secondly, it was the Agricultural Revolution that encouraged scientific spirit and technological innovation. The scientific and innovative spirit would be the major force later to propel the Industrial Revolution. The iron-smelting technology made noteworthy development during the Agricultural Revolution, because of the need to manufacture ploughs, horse-shoes, nails and iron-beats for wheels on a large scale. The spirit of experiment undertaken during the vigorous agrarian ventures would inspire later the Industrial Revolution. Thirdly, the Agricultural Revolution helped the Industrial Revolution by providing labour to work in factories situated in towns and cities. The Enclosure Movement that revolutionized agriculture had a tragic consequence for the large mass of agricultural labourers who were evicted from the lands they tilled for generations. The ill-fated mass or peasantry had to look for other means of livelihood and this compelled them to move towards the towns and cities in search of jobs. A vast multitude of this rural labour force became daily wage earners in mines factories and other industrial activities. This was a significant development in economic history, it began a process by which rural peasantry got converted into industrial proletariat. Thus the tragic side-effect of the Agricultural Revolution proved to be a blessing for England’s industrial development. She experienced a ready availability of labour that other European countries lacked.